There are several symptoms of tooth decay. There are also signs to look for. Symptoms are things you FEEL. Signs are things you can SEE. The earliest sign that you might see at home is frequently a small dark spot on the tooth. Sometimes this will be in the middle of the biting surface. Sometimes it will be where two teeth are in contact. A dentist can usually spot a cavity starting even earlier than that. With his bright light, he may be able to see the tooth enamel getting "opaque". This is a sign of the enamel getting weaker. We call it "decalcified" because calcium is being removed from the tooth enamel. Tooth enamel is usually slightly translucent, so when a dentist sees enamel going a chalky white color, it's usually a sign of tooth decay. The first thing you may FEEL might be a reaction to hot or cold things or sour/acidic things like fruit juice. This could also just be simple sensitivity, so don't panic! Just go along to your dentist and get it checked. Another one of the earliest symptoms of tooth decay is also pain when you fly in a commercial airliner or jet. This is caused by the reduced pressure in the aircraft cabin. Of course, the inside of the cabin is pressurized, but only to equivalent of about 5000 feet altitude. Imagine being whisked up in a ski lift from near sea level to 5000 feet in a few minutes - your ears would be popping! And if your tooth has a small cavity, the rapid pressure change will hurt, too! Dentists call it "barodontalgia". One of the most common symptoms of tooth decay that people notice is pain on cold drinks. It may last a split second, or linger for a few seconds. If it wears off quickly, within 10 seconds, then the chances are good that a normal filling will fix the problem. It can be difficult to see a cavity at this stage because the enamel is normally still intact, even though the tooth has been partly hollowed out inside by decay. Your dentist will be able to check your teeth with X-rays. This will reveal any cavities or decay. Kids will usually complain that it's sore when they eat. This can be due to either the temperature of the food, or food getting packed into a little cavity. Once a tooth starts to ache on it's own, or hurts when you have a hot drink, then bacteria have probably reached the nerve inside the tooth. If this has happened, then you probably have a tooth nerve inflammation called pulpitis. You will need either a root canal treatment if you want to save the tooth, or else have the tooth removed. Sometimes, the nerve inside the tooth dies "quietly". Either you get just a little toothache for a short time, or else hardly any discomfort at all. 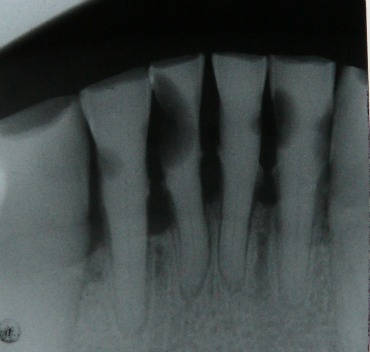 But then you can end up with an abscess on the tooth, sometimes years later. In a child with baby teeth, you can get a small lump on the gum next to the affected tooth. The symptoms of tooth decay are not written in stone. They will be different for different people. In the early stages, it can be difficult to tell simple tooth sensitivity from tooth decay signs. At this point, if it IS decay, it's easy to fix! So don't delay - go to a dentist and get it checked out!